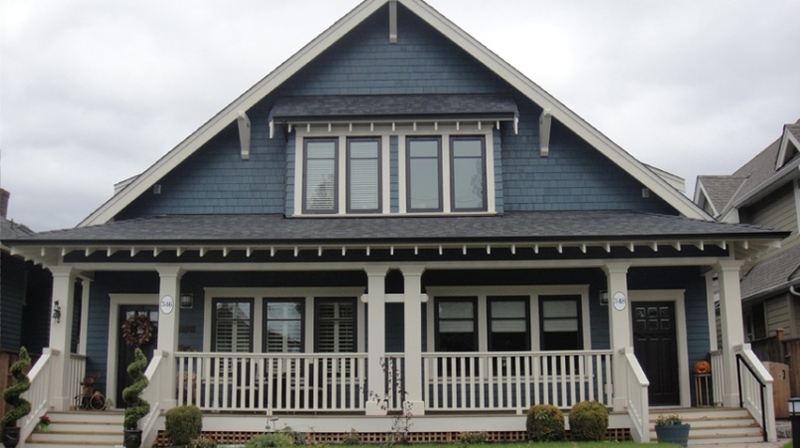 At one point on Sept. 18, the first day of a public hearing to determine whether duplexes should be permitted in most single-family neighbourhoods in Vancouver, Vision Coun. Andrea Reimer turned to a speaker and asked what she made of the wildly divergent views of the previous 30-plus speaker That was the kind of hearing it was. Sharply divided opinions pivoted between speakers voicing strong support for the duplex proposal, while urging council to take an even more ambitious approach to densifying single-family neighbourhoods, to critics arguing a “lame duck” council failed to consult properly and would be making a decision at the very end of its mandate that would negatively affect neighbourhoods and which they wouldn’t be accountable for because most aren’t running again. The duplex proposal is one of the city’s “quick-start” actions in its Making Room housing program approved in June. Its goal is to increase the supply of “missing middle” types of housing to create a diversity of choices that are cheaper than detached houses. In coming months, city staff will also evaluate the possibility of allowing triplexes, four-plexes, townhouses and apartments in low-density neighbourhoods. A report on options will go to council in 2019. Current RS (single-family) zoning allows for secondary suites, laneway homes and character infill. The public hearing is focused on zoning changes that would allow duplexes, with or without small secondary suites. Duplexes would be an option for new construction only. The changes being considered wouldn’t allow an increase in floor area over what is currently permitted and duplexes would not be permitted in conjunction with a laneway house. City staff says these details are expected to limit a potential land value escalation. Four information meetings were held this month in different neighbourhoods to outline the proposal. Scott de Lange Boom, who was among the first speakers at the hearing, which continues this afternoon, strongly supported the plan, which he described as a small step to address a “profound” housing crisis. He said it was long overdue after years of low vacancy rates and the cost of living spiralling out of control. He suggested parking requirements be relaxed and that laneway homes be allowed with duplexes. “The silent majority both needs these changes and supports them,” he told council, adding it’s a change that should have happened 20 years ago, but councils have been far too conservative in their approach to zoning. “Every month we delay means more people leaving the city,” he said. De Lange Boom’s comments were echoed by numerous other speakers, many of whom belong to the pro-housing organization Abundant Housing Vancouver, which urged supporters to write letters in support of the duplex proposal and sign up to speak at the hearing. Stuart Smith, a board member for Abundant Housing, said he wants to stay in Vancouver, but zoning is limiting his and other’s choices. Peter Walkirch, who was born in Vancouver, said while the city has changed a lot over his lifetime, one aspect hasn’t — the preponderance of single-family zones. Walkirch said more housing needs to be built to deal with unaffordability and Vancouver can’t be turned back into some “idyllic imaginary time.” He said the city's goal should be to get people to live closer to work, shops and amenities, which can only happen by densifying. “We should be designing neighbourhoods to get people out of cars, not force them to get in them,” he argued. Karen Sawatzky, chair of the city’s Renters Advisory Committee, said she wasn’t “super-excited” about duplexes, but called it a small step in the overall Making Room program, which she supports. “I wish that we were going further to allow four-storey apartment buildings but it’s important, in principle, that we allow all our neighbourhoods have access to a variety of housing types,” she said. Sawatzky also said higher-income renters might be able to afford duplexes, which could open up rental housing space for medium and low-income renters. Others insisted homeowners have dominated the discussion for too long in a city where more than 50 per cent of the population are renters, that the time of sprawl is over in light of climate change, and that the proposal wasn’t aggressive enough — that housing forms such as townhouses and apartment buildings should be allowed. “Density, physically, can’t get any more gentle that this,” Roman Lisagor said. But critics were equally passionate in their opposition. Hilary Reid called the proposal too hasty, arguing it will come with negative consequences and won’t impact affordability. She said there was a huge risk of character houses being torn down to make way for more profitable new builds, trees would be removed, that not enough analysis was done on the proposal and its potential effects, and better guidelines should be in place before a decision is made. “Vancouver is currently one of the world’s most livable places. We want to keep it that way,” she said. ProVancouver mayoral candidate David Chen also appeared at the public hearing. He, too, had been urging people to show up at the hearing to register their opposition to the proposal. Chen called for a full city plan and said that it doesn’t make sense to upzone without a coordinated plan to deal with associated infrastructure needs. He raised concerns that there hasn’t been enough consultation and suggested many Vancouverites aren’t even aware the duplex proposal is being considered. “If you do this without the community [consultation], this becomes an irresponsible action,” he said. Jonathan Rubenstein chastised the city for scheduling the public hearing during Yom Kippur, which prevented religious Jewish people from participating. He added that he wasn’t against density per se, but said there was “minimal consultation” for the citywide rezoning proposal. Rubenstein called it an abuse of council’s power. He also questioned where the plans for parking, traffic safety, transportation and infrastructure were. “This is a poorly studied rezoning proposition,” he said, which “should not be passed by a lame duck council." Breton Crellin, a tradesman and a council candidate for ProVancouver, ridiculed suggestions the proposal would help address the affordability crisis. The public hearing continues at 1 p.m., Sept. 19.